FRESNO, Calif. (KFSN) -- Students are building houses, doing their own taxes, and getting job offers before they graduate from high school. The Children First special, Ready for the Real World will be rebroadcast on Saturday, May 12 at 5:00 PM and Saturday, June 9, at 12:00 PM. Action News anchors Liz Harrison and Warren Armstrong host the television special focusing on local programs helping youth transition to adulthood. ABC30 will air its new Children First special, Ready for the Real World, on Sunday, April 15, at 6:30 p.m.
Students at the Academy of Engineering and Construction Management at Dinuba High School built a house on campus. Five of them received job offers from local companies. Students are getting hands-on experience as tellers inside the EECU branch on the Clovis West campus. They are learning about money management with the Business Financial Services Pathway. Sunnyside High School has a Video Production Academy, and one graduate landed a production job with the Fresno Grizzlies. University Preparatory High School provides an early college experience. It is on the College of the Sequoias campus in Visalia. Valley Children's Hospital is launching a new Young Adult and Transitional Care program designed to support young adults with medical needs. Malloch Elementary School students are interviewing for and landing jobs on campus. Children First is a year-round effort focusing on challenges and opportunities among our youth in Central California. The program shows how the average person can make a difference in a child's life and highlights local organizations working with children. 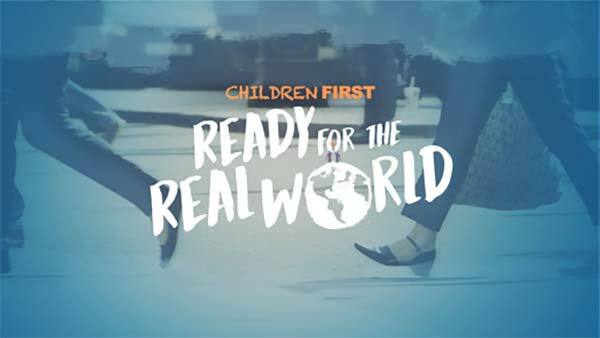 The Children First campaign includes half-hour programs like "Ready for the Real World", thirty-second public service announcements and special stories on Action News. ABC30 thanks its partners below for putting Children First in the Central Valley. The home built by students is up for bid starting at $110,000, click here.